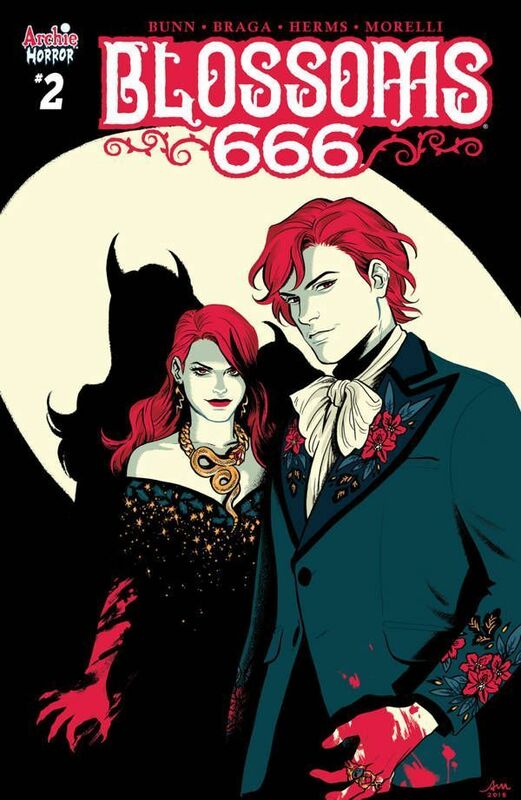 Cheryl and Jason Blossom are vying for the title of Anti-Christ and the residents of Riverdale are just pieces on a gameboard to them. They continue to manipulate almost everyone around them, although some are resisting their spell. Of course, that would be Betty Cooper, the perennial goody-two-shoes. The twins will soon have more to worry about than just Betty. Who thought being evil would be so hard? 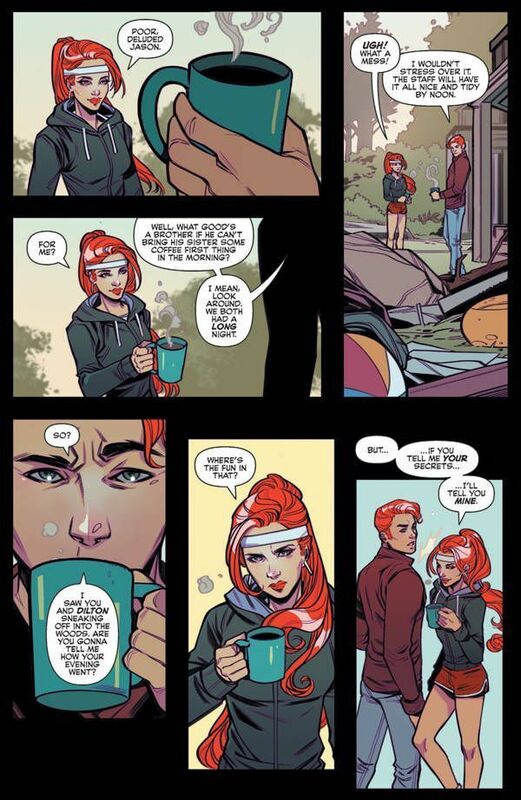 I know it's still early, but Blossoms 666 #2 has one of the best opening sequences of the year. It's an eight-panel page with the same camera angle focused on a pristine bathroom sink. It's clean nature is soon disputed by someone trying desperately to wash the blood off their hands. 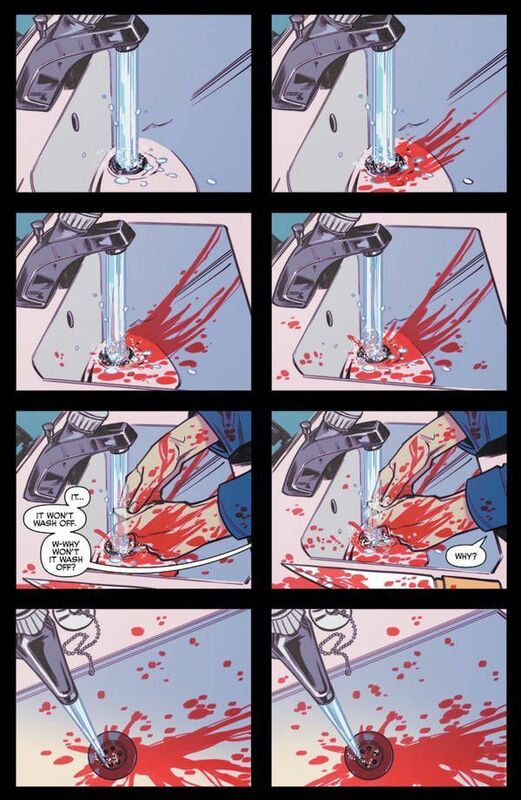 Colorist Matt Herms makes the blood pop on the page against the white of the sink in this really shocking manner. It's presented without further context, so we're able to fill in the blanks in our heads with all the gruesome details. That's how Blossoms 666 #2 starts and the tension doesn't let up. 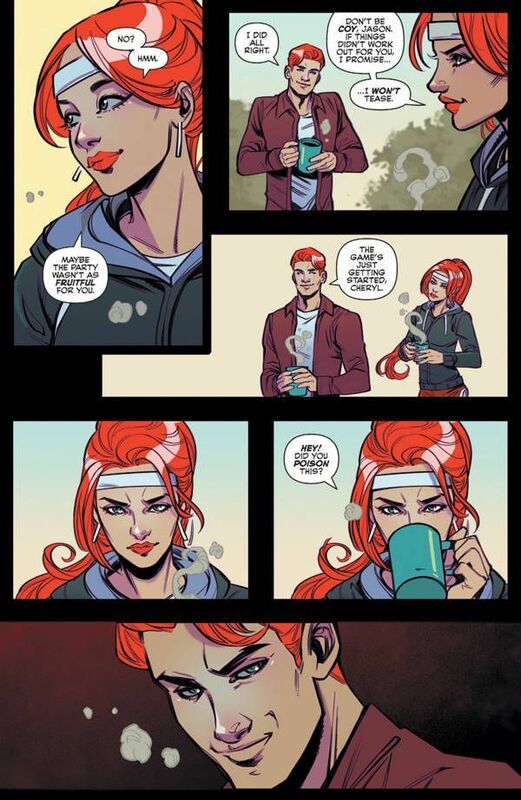 Since we know that Cheryl and Jason are evil (at least more so than the arrogant bullies they tend to be), there's an ever-present sense of foreboding throughout the entire book. You know that every action they take is a step towards their ultimate goal of becoming the Anti-Christ. This makes us question everything, reading into each specific detail. One thing I'm not entirely clear on is how public this quest of theirs is. There are some folks that are fully aware of their lineage and all but kiss their feet as they walk by. Meanwhile, there are others, like Betty, that don't fall for it. The twins encounter a cop that seems to be hedging his bets about which one may end up on top. His speech is delivered in a cautious manner. Letterer Jack Morelli breaks up his words across a few balloons, giving the impression he's afraid of what's coming out of his mouth. Although these folks are evil through and through, you can't help but love them. Artist Laura Braga does a tremendous job with their designs, creating the popular, pretty people we know and love with a sly charm to them. This extends to some of the other characters as well. 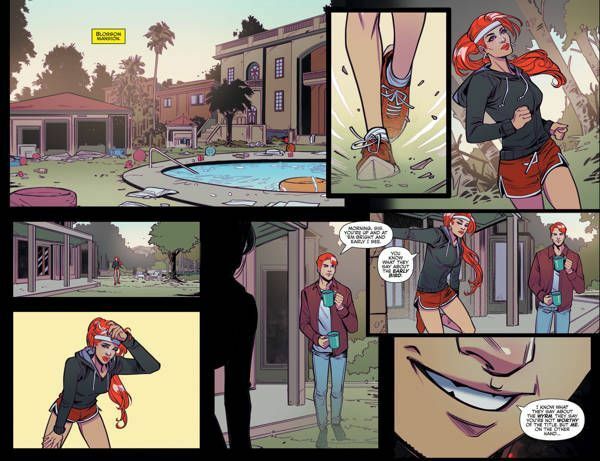 It's like everyone in Riverdale is allergic to being ugly, so they're all beautiful. That feeling of dread builds to an incredible reveal towards the end of the issue. Actually, it's the first of two that close out this chapter. This one is just bloodier than the other. Braga pulls you in, teasing you with glimpses of movement in the shadows until the light hits the horror waiting in the woods. It's grisly and terrifying and will definitely leave a mark. This is the kind of expert pacing that writer Cullen Bunn can deliver. 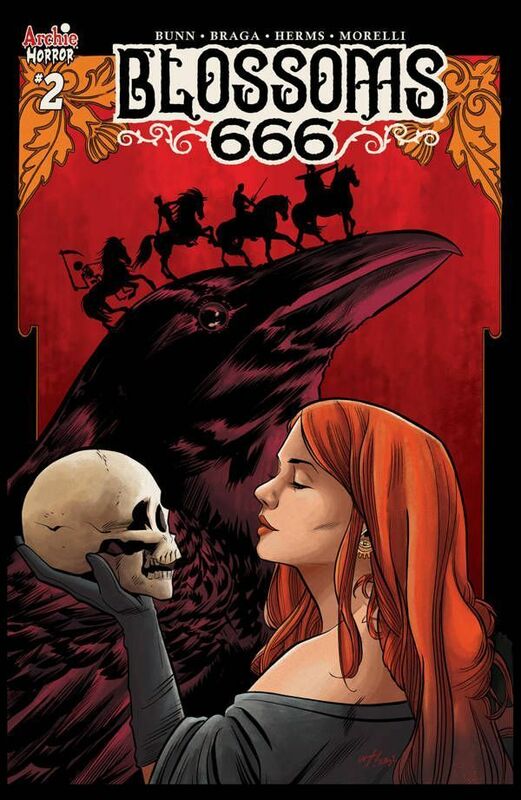 The guy knows a thing or two about horror comics and Blossoms 666 is another solid book. It helps that we're so familiar with these characters, but that's only part of it. This would be a gripping read on its own. Adding Archie and the gang only elevates the terror.